Welcome to the dependable Falls Church lawn service website of Complete Lawn Services, Inc. We offer comprehensive lawn care services throughout Falls Church and Northern Virginia. Our company has been designing and maintaining residential landscapes since 1972. 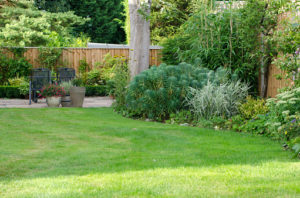 We have a longtime reputation for dependable Falls Church lawn service that includes lawn care, landscaping, irrigation, mosquito control and snow removal. Our talented team of professionals uses the latest tools and equipment to design and install the landscape that you’ll love to live in. Our lawn care includes mowing and edging services that even change direction when terrain permits; seeding and feeding for aeration, grub prevention and flea and tick control; and shrub and bed care with regular visits to weed bed areas and maintain shrubberies. We offer a full range of landscaping services, including full landscape design and installation; hardscape design to include walkways, driveways and water features; and drainage services from surface and sub-surface drainage problems to poor or compacted soil. Complete Lawn also employs a Certified Irrigation Designer that can design an efficient and automatic sprinkler system in your outdoor space. Your professionally designed-sprinkler system will run automatically, conserve water, and reduce runoff, helping make your lawn as beautiful as can be with just as little effort on your part. Our dependable Falls Church lawn service even extends to mosquito control using a much safer natural oil spray, and a snow removal services including sidewalk shoveling, ice melting and sand application to help you get back outside again. Whenever you’re looking to beautify your outdoor living space, Complete Lawn Services is looking forward to becoming your home for dependable Falls Church lawn service. Give us a call at (703) 560-5296 today, or click on the “Get A Price” button to fill out the form for a complimentary landscape consultation. Let us design your ideal lawn and landscape today!